Down boy, down! Keep your lover on a leash with this full-face Doggy Hood and Leash. 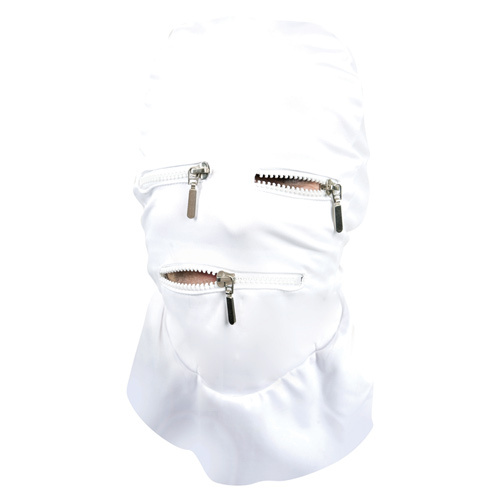 This high-quality, fully adjustable hood laces up the back and buckles at the collar, with two vented nostril holes for easy breathing and a zippered muzzle mouth underneath the snout. The blindfold snaps to the hood and can be easily removed and the collar has a d-ring to attach your leash or tether. For the ultimate in puppy play, it’s the pick of the litter! One size fits most. Be the first to review “Doggy Hood & Leash” Click here to cancel reply.